US President Donald Trump has had a very rocky relationship with the media since taking office. In February, for example, he went even further than calling mainstream news organisations “fake news”, insisting that these outlets were “the enemy of the people”. But now, one millionaire Republican candidate has taken Trump’s spat with the media to a whole new level, by actually assaulting a journalist. 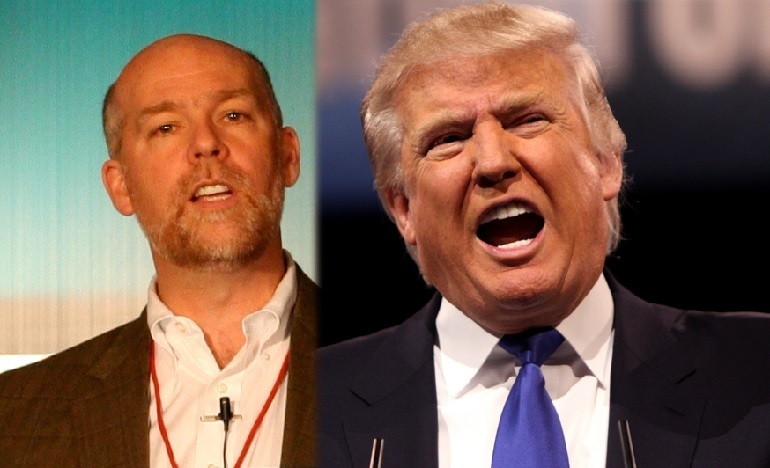 Greg Gianforte is a tech millionaire endorsed by Trump. And he’s currently the Republican candidate for Montana’s congressional seat. On 25 May, The Guardian reported how Gianforte had slammed Guardian reporter Ben Jacobs to the floor just before the state’s special election. He took me to the ground… I think he whaled on me once or twice… He got on me and I think he hit me… This is the strangest thing that has ever happened to me in reporting on politics. Jacobs had reportedly asked Gianforte about the Republican healthcare plan. entered the office without permission, aggressively shoved a recorder in Greg’s face, and began asking badgering questions… After asking Jacobs to lower the recorder, Jacobs declined. Greg then attempted to grab the phone that was pushed in his face. Jacobs grabbed Greg’s wrist, and spun away from Greg, pushing them both to the ground… It’s unfortunate that this aggressive behavior from a liberal journalist created this scene at our campaign volunteer BBQ. The audio from Jacobs, however, doesn’t capture him being asked to lower his recorder. And witness accounts contradict the statement above. Gianforte’s campaign has received support in the form of so-called “robocalls” from Trump and Vice President Mike Pence. And the Republican’s macho behaviour and dislike of the media very much appears to fit in with Trump’s style of doing politics. Our biggest enemy is the news media. How can we rein in the news media? We have someone right here. It seems like there is more of us than there is of him. He later claimed he was joking. But his subsequent assault of Ben Jacobs suggests otherwise. In short, the US now has a president who calls media outlets the “enemy of the people”. And it has at least one political candidate who seems to think it’s fine to assault a journalist. – See other articles about Donald Trump at The Canary Global. – Read more TrumpWatch articles. The Canary, Media Diversified, Novara Media, Corporate Watch, Common Space, Media Lens, Bella Caledonia, Vox Political, Evolve Politics, Real Media, Reel News, STRIKE! magazine, The Bristol Cable, Manchester Mule, Salford Star, The Ferret.